Los Angeles: A rare, once-lost 1962 guitar belonging to former Beatles member John Lennon will go up for auction this year and could break a record, Julien's Auctions said on Thursday. The jumbo J-160E Gibson Acoustic guitar, purchased by Lennon in Liverpool, is expected to fetch between $600,000 and $800,000 when it goes on sale on Nov. 6 at an auction of rock'n'roll memorabilia in Beverly Hills. Darren Julien, owner of Julien's Auctions, called the guitar "one of biggest finds in music history," and said its sale could top the $965,000 auction record set in 2013 for an electric guitar owned by Bob Dylan. "John Lennon items don't come up very often because a lot of people keep them. This was one of his favourite guitars, he talked about wishing he still had it," Julien said. His Gibson guitar went missing in 1963 during the Beatles' Finsbury Park Christmas Show, and turned up 50 years later, after it was purchased by a man named John McCaw in a U.S. second-hand goods shop. 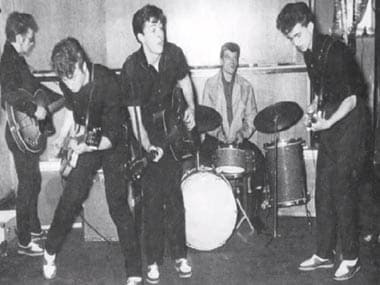 Babiuk said Lennon used the guitar to record the Beatles hit single "Love Me Do," and played it in live shows and writing sessions.